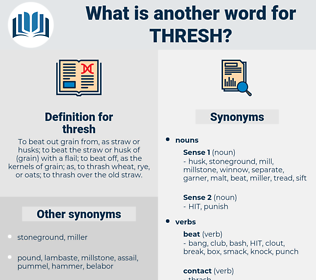 What is another word for thresh? 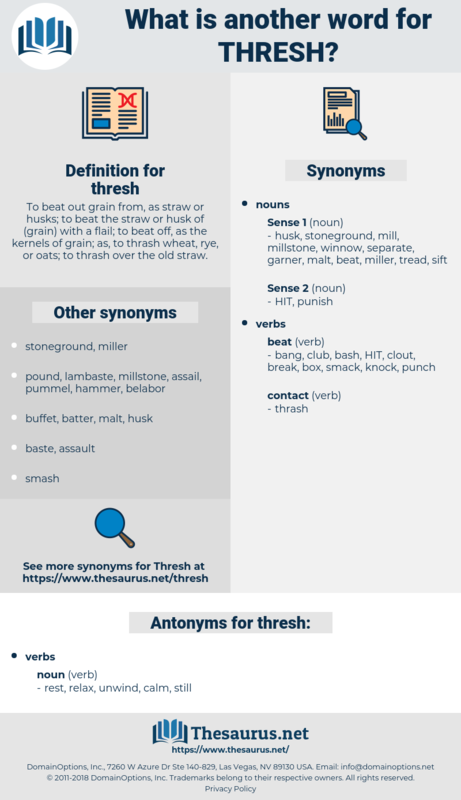 To beat out grain from, as straw or husks; to beat the straw or husk of ( grain) with a flail; to beat off, as the kernels of grain; as, to thrash wheat, rye, or oats; to thrash over the old straw. rest, relax, unwind, calm, still. I'm going to stay out here and help thresh. The grain that matures will not be cut, but the hens will be allowed to thresh it out.